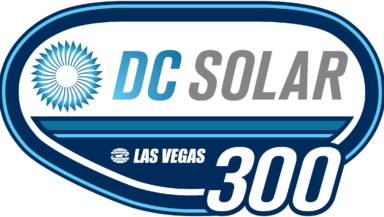 LAS VEGAS (Sept. 15, 2018) – After starting the final stage in 10th, Chase Briscoe was running three-wide and got caught up in an incident forcing him to settle with a 31st-place finish in Saturday’s NASCAR Xfinity Series (NXS) race at Las Vegas Motor Speedway. After making it through to the second round of qualifying, Briscoe took the track 13th for 200 laps of racing in the desert. The No. 60 Ford team elected to stay out during the only caution of the stage and finished stage one in ninth. The team pitted for four tires, fuel and an air pressure adjustment at the stage break. Briscoe gained a spot on pit road and restarted stage two in eighth. The driver was able to maintain his track position well into the stage until the caution flag waved at lap 64. The No. 60 team elected to stay out and restarted ninth with 20 laps to go. Briscoe made good pace and stayed inside the top-10, finishing stage two in 10th. The team pitted for four tires, fuel, and a track bar adjustment. After restarting 10th, Briscoe got shuffled back to 12th with 94 laps to go. When a caution flag waved at lap 124, the team pitted once more, taking four tires and fuel. Briscoe was slow to take off, which resulted in a loss of track position. He restarted 13th, but quickly moved back up through the field. With 45 laps to go, Briscoe was scored seventh. When the caution flag waved with 25 laps to go, the team pitted for four tires and more fuel. Briscoe restarted sixth, but was caught up in an incident after a competitor car made contact with the No. 60 machine, causing him to spin out on track. The incident resulted in a 31st place finish for the No. 60 team. Briscoe returns to the track in the No. 60 Ford Mustang on Oct. 6 at Dover International Speedway.